Rehman left a short while later, hoping that his complaint might be acted upon soon, but little did he knew that it was fate-bound to gather dust among 203 others complaints filed since June 2013 when the term of then chairperson Rafiq Fida expired. The commission has been headless ever since. 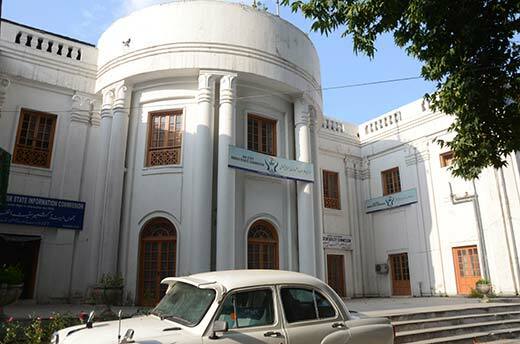 Sources told Kashmir Life that a Co-ordination Committee had been convened recently where two names; Justice Bilal Nazki, serving State Human Rights Commission in Bihar and Justice Pramod Kohli, were suggested for the appointment of chairperson at SHRC. Pertinently, sources claimed, the government purposely brought two amendments on 20th April this year in the J&K Protection of Human Rights Act 1997, one of which would officially expand both the term of the chairperson by two years and stipulated age requirement by five years to specially accommodate the suggested names. When Kashmir Life reached Secretary Law and Justice, Muhammad Ashraf Mir for comment, he said: “I am not the authority concerned. Talk to the Law minister.” Despite repeated attempts, Law minister Basharat Bukhari could not be reached. SHRC came to existence in 1997 when the J&K Protection of Human Rights Act was enacted. Since its formation, the commission that acts as a recommendation body has instituted as many as 6722 cases of human rights violations including cases of custodial deaths, sexual harassment, disappearances and much more while disposing a total 5403 cases. According to official figures, a total 1983 cases are pending with the commission up until 18th August 2015 awaiting disposal. The cursory read through its recent annual report 2013-2014, reveals that the commission instituted a total 507 cases out of which 305 were disposed for the year 2013-14. In majority of cases mentioned in the report, the disposal saw sanctioning of ex-gratia relief and compensation. In only six cases, report reveals, the commission recommended an investigation. It is not known for how many cases was the recommendation for prosecution of security personnel involved in rights violations given. The report mentions two cases: A kidnap/disappearance case titled Ghulam Hassan Najar of Sir Syed Abad, Sopore for which the commission recommended that an erring SHO to be prosecuted under section 19 (1) of the human rights act 1997 and another sexual harassment case titled Mohammad Amin Kandoo from Rangwarnow, Lolab, Kupwara where recommendations suggested punishment for the erring officials under section 447, 354 and 323 of Ranbir Penal Code (RPC). Upon inquiring if NHRC approved any sanction for prosecuting the accused personnel, the official clucked in disapproval. “There has been none,” he says solemnly. Though officials admitted that there were many cases where the commission had recommended punishment for the police personnel accused of rights violation but maintained that they only take a follow up after the complainant submits a query on “an action-taken report” within 30 days as per rules. “If they do not, it is surmised that they are satisfied,” they added. Similarly, in another case of Mohmmad Yousuf Sheikh from Baranpather, Batamaloo, Srinagar where the subject had died in the indiscriminate firing by the security forces, the commission has recommended the benefit either under SRO-43 or in the alternative Rs 8 lakhs in lieu of SRO-199 of 2008. Surprisingly, in case of one Arif Hussain Shah from Breenty Batapora, Islamabad where the subject had been killed by an Army officer, the commission has recommended benefit “either under SRO-43 of 2004 or under SRO-199 of 2008.” Why no prosecution? “The commission is just a recommendation body. We have no jurisdiction over armed forces,” is the answer that comes through. 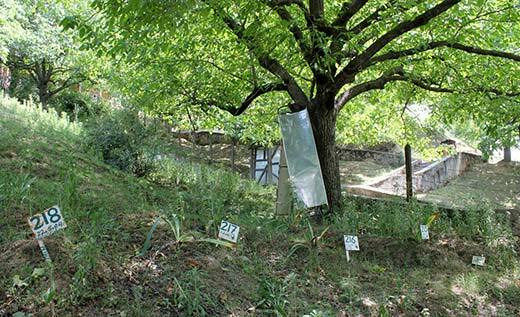 A file picture of mass graves in North Kashmir. The official maintained that there are approximately 85 percent of cases wherein the commission gave the verdict based on its own investigation.